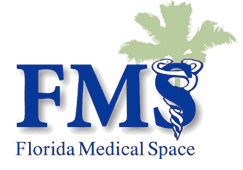 Florida Medical Space, Inc. is searching for experienced medical and real estate sales professionals throughout the State of Florida to help us meet our aggressive growth plans. We are committed to providing comprehensive commercial real estate services to the healthcare providers in Florida and in order to do that we need quality individuals who are dedicated to our cause. There is no limit to the amount you can make if you put our clients first at all times. The ideal candidate will have prior real estate or medical industry sales experience and a passion for success. Submit your resume today at employment@floridamedspace.com. Principals only.